When people hear that we incorporate child led principals into our homeschooling, they tend to give me a sort of side wise glance; which is usually followed up with, “So, you unschool?” I think the idea of unschooling is a neat concept, but it isn’t for our family. 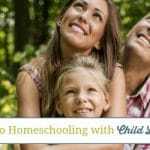 Though for some people child led homeschooling might mean unschooling. 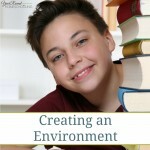 That isn’t all that can be found in the child led area of homeschooling. I see child led homeschooling as more of a partnership between my children and I, it provides a way to have my kids be active participates in their educational journey and not merely passive riders. It’s about making sure our curriculum choices are tailored to their particular learning styles. 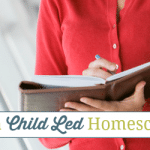 Child led homeschooling is about following their lead and knowing when to push and when to back off. It’s about following rabbit trails even if they take us off the path I originally imagined that we would be on. 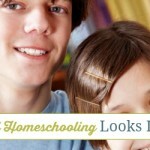 We are new to homeschooling, so I am not a seasoned homeschooler. So, I never planned on doing child-led homeschooling. 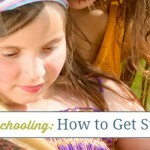 I started researching homeschooling while pregnant with my oldest. Being a huge nerd myself and having grown up in a home where a heavy emphasis was placed on education, I had planned on being the mom who was doing formal lessons with her toddler to teach him ABCs, shapes, etc. Everything I envisioned in regards to education and making sure my toddler had the best start to school by being way ahead of the game changed when we realized he had a severe speech delay among other delays. At 2.5 he was non-verbal and 6-9 months behind in fine motor skills and some gross motor skills. All of these were things that our pediatrician should have caught but didn’t. So, suddenly my priorities changed from learning things like ABCs to learning how to speak and to hold a spoon and use it efficiently. However, something his delays did teach me was the beauty of following his lead. I watched what his interests were and then used them to work on different skill sets that he needed to strengthen. We used his interest to work on his weaknesses. His first word wasn’t momma or anything typical like that. It was “wahoo”; something that he learned from watching a carton about cars. Cars interested him; so we used it to our advantage. In our home; child-led learning means making sure the subjects that have to be taught like the 3 R’s are taught in a very hands on way that appeal to his learning style. However, in areas like science, history, art, etc. it means allowing him to choose the course of study. Child led means doing my best to answer any question he throws my way. (Thank goodness for Google!). Child-led learning means that when my 4 year old told me he wanted to start school officially this upcoming fall I said okay, even though I hadn’t planned to start formal schooling with him until the fall of 2015 when he would be 5. However, he really wants to start so we’ll follow his lead. Check out different homeschooling methods by following our Pinterest board below. Follow Misty Leask’s board Homeschool: Methods on Pinterest. Tiffany is a stay at home homeschooling mom to 4 wonderful boys- 6, 4, 2 and a newborn. They keep her on her toes and moving. Married to a service member means home is dictated by the needs of the military. You can find her blogging over at Hands on Mommy on the subject of intentional living. She enjoys curling up with a good book or crafting in her down time. She is also on Pinterest.